"Shoddy work could be the tip of iceberg," said Tan Sri Ramon Navarathnam. The recent collapse at three new government buildings is symptomatic of the state of deterioration in standards, quality, productivity and efficiency in our country. There's too much concern to make quick buck and too little attention given to professionalism. These news are frightening and could be bad for our developing nation. Everyone of us has intention to make quick bucks, including my profession. Most life insurance agents who came into this career, have the desire to succeed by the fastest ways. Their attitude is wrong because nothing is easy in the making, unless you are prepared to work hard and to learn at the same times. When they first came into this profession, money was the main drive to work. Many could have been carried away with the initial glamour and recognition. Without passion and understanding, they later realised it was difficult to continue. Most dropped out from the second years onwards or could be struggling. Sometimes greed leads to unprofessional practises in their selling, which could tarnish our industry. All insurance companies are professional in their undertaking but is only the unprofessional and unethical agents who professed wrongly in our industry. Perhaps relating a true story would explain a clearer picture. Three years ago, one rookie agent who was at his mid-twenty then, joined our industry. He was excited with this new career. He was promised a bright future plus quick and easy bucks. The glamour and incentives were too tempting for him to resist. He resigned from his bank executive job to become an insurance agent. After knowing him, it was very thoughtful of him to text message me with these meaningful words, "The Beauty of life does not depend on how happy you are, but on how happy others can be..because of you." I was so inspired by his understanding of life, thinking that this young man could be the future bright star for his company. However, three years later on one public holiday, I accidentally met him in one coffee shop. He told me he no longer works as full time but rather as part-time in selling life insurance now. He claimed the first year was a fruitful and a productive year for him, but gradually he found selling insurance was extremely difficult. He had forgotten the "Beauty of Life" which he had sent to me. He had lost the warmness and passion of knowing people. During these three short years, he was influenced with glamour rather than sacrifices. Instead of being encouraged to offer 'care and concern' to his clients, he was persuaded to bring back more sales. Instead of preaching 'love and understanding', he was motivated by recognition and incentives. Perhaps, greed was the root of his failure, when I thought he could be The True Star for his company. When I came home, I managed to retrieve his old text message. Pondering what I should do, I sent him this message; "Young man, I would like to return this proverb to you. I think you need it more than me now. 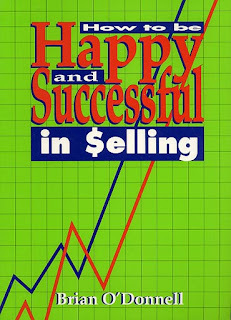 I had benefited abundantly from it. Thank you for sending such meaningful words 3 years ago. I returned herewith...'The Beauty of life does not depend on how happy you are, but on how happy others can be because of you." Tan Sri Ramon was right, shoddy work would never stay. In order to be professional, we need to have the right ethics and attitude in all our doing. More so for our growing and developing country, Malaysia.